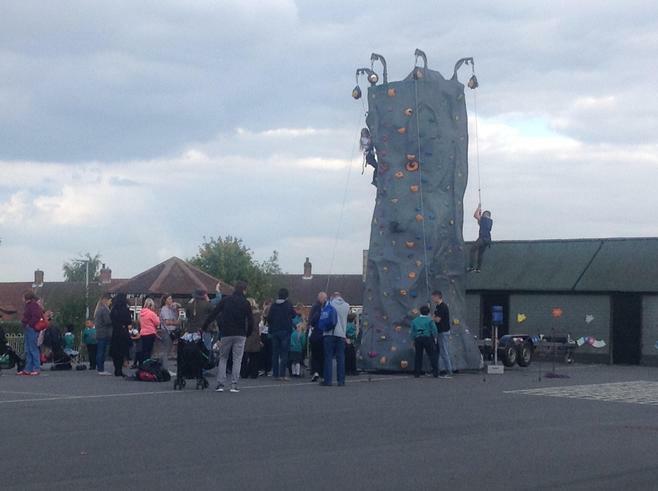 The crowds gathered in huge numbers for our Mastering Me finale event and the exciting installation of a climbing wall for the day! 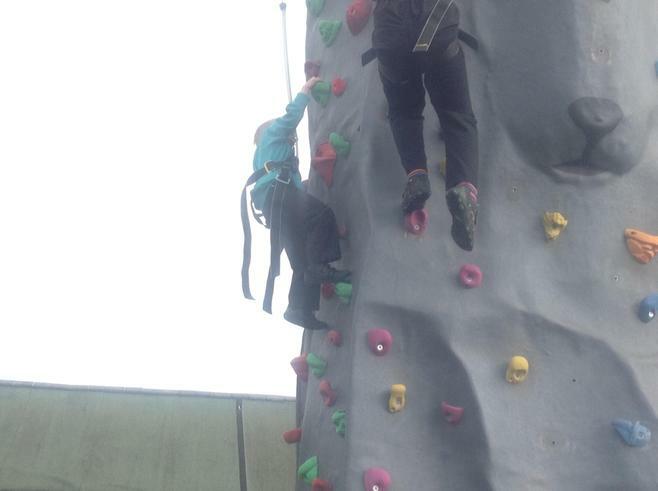 Children were really keen to show their resilience in challenging themselves to reach great heights! 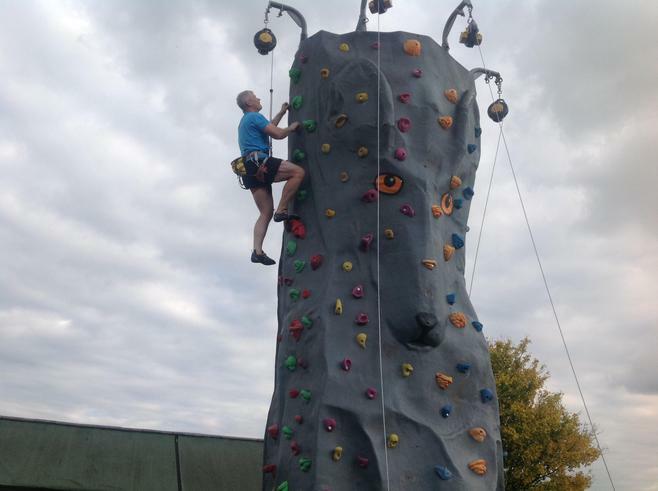 good to see one of our school Governors joining in on the wall as well! Hope you're writing a Governor report on that Mr Jack? 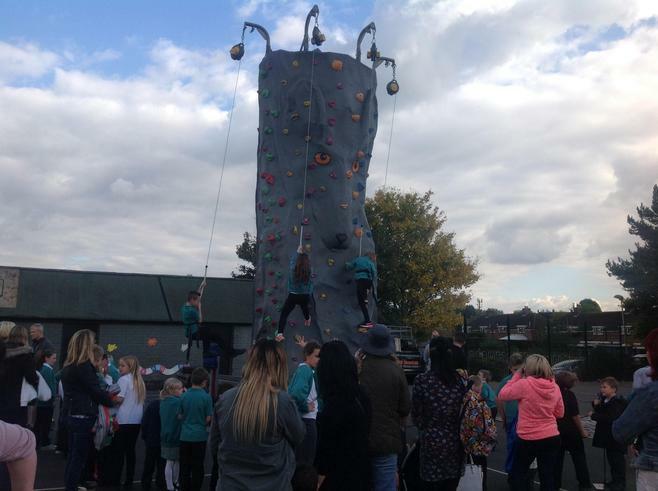 What an exciting way to end the week and thanks to PAFO, particularly Teena, for organising refreshments as well as our fantastic chainsaw carving of the tree trunk as well! 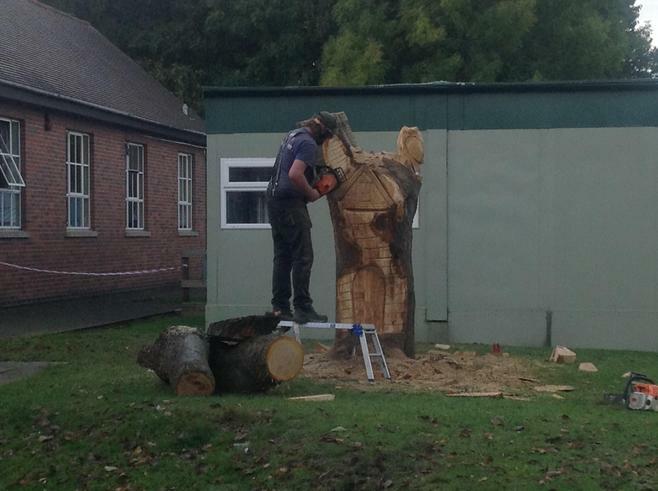 Mr Moffatt will be adding some seating to make a lovely area for story-telling! Another project for you Mr M!